There are a number of nicknames and expressions for the police in French. Les flics. Les keufs. Les poulets. Although poulet means ‘chicken’ it doesn’t have the same cowardly connotation as it does in English. The story goes back to 1871 when the Paris police headquarters were moved to what had formerly been a chicken market. The name stuck, much to the chagrin of the police, and became a popular nickname much like the fuzz (and is similarly outmoded). The expression ‘la peur du gendarme’ refers to the fear of getting caught. Seems this is the only thing that keeps people in line. ‘Flicage’ or ‘faire le flic’ means to survey, police or report your neighbors (and is the one behavior the French detest most). In my early days in Paris, I was shocked to see police officers in full machine gun-toting regalia on the streets. It made me a little nervous. But most French people seem reassured by such displays of force. The French have a love-hate relationship with their various law enforcement agents and with figures of authority in general. It’s not that they don’t appreciate the work they do, but they are resistant to being told what to do, and outright concerned about abuses of power. Police corruption was the theme of the 1984 comedy film ‘Les Ripoux.’ The name is a play on words using ‘verlan’ (an inversion of l’envers) where the order of syllables is reversed. In this case, ‘ripoux’ means ‘pourri’ in reference to bad cops that take bribes. It was released in English under the rather pedestrian title of ‘My New Partner’. Depending on where you live, you may be dealing with different levels of les forces de l’ordre. In the country, it will probably be the Gendarmes. In bigger cities and towns, it will be the municipal police. Police Municipale – Only larger cities in France have their own municipal police forces.They report to the mayor and come under the general authority of the Minister of the Interior. La Gendarmerie Nationale – Smaller towns and country villages are under the jurisdiction of the Gendarmes. They are actually a division of the military. They’re the ones with le képi, the funny hats that depict French cops in all the old movies. Le Garde Champêtre – This is the local cop in a country village. Reports to the mayor but comes under the supervision of the Gendarmes. We have one in our town. He likes to hide behind the shrubbery on the roundabout with a hand-held radar device. In addition to the above, there are 3 levels of elite forces who take over in major events like terror attacks and hostage takings. GIGN – Groupement d’intervention de la Gendarmerie Nationale. Created 40 years ago following the Munich massacre at the 1972 Olympics. 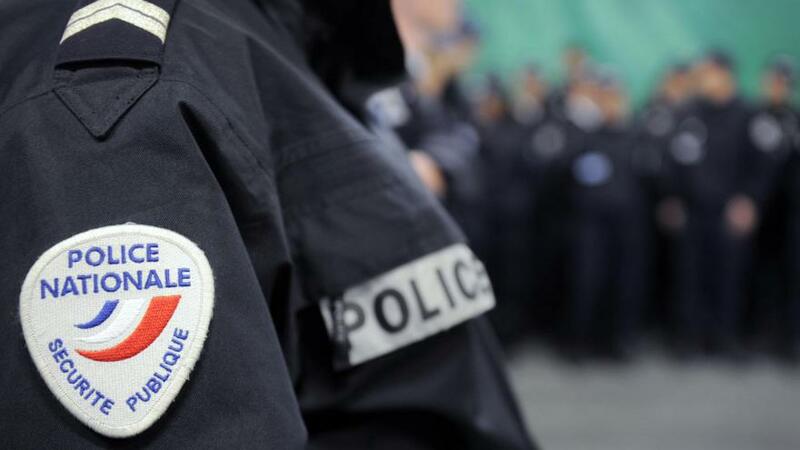 GIPN – Groupes d’Intervention de la Police Nationale. These are the equivalent counter-terrorism forces of the National Police. RAID – Pronounced ‘red’, this stands for Recherche, Assistance, Intervention, Dissuasion. Additional elite forces of the National Police that cover Paris. I am always amazed at how such a complicated hierarchy of police forces seem to coordinate their efforts without stepping on each others’ toes – or killing each other. Thankfully, the chain of command seems to work. Now, the tricky part: in the case of an emergency, who do you call? The lack of a centralized emergency number like 911 in France has always been a bugbear of mine. There are different numbers to call depending on whether you need an ambulance (15), the police (17) or the fire department (18). If that’s too much to remember, now you can also use the new centralized number introduced at the European level: 112. How about you? Ever called the police or wondered what to do in an emergency?